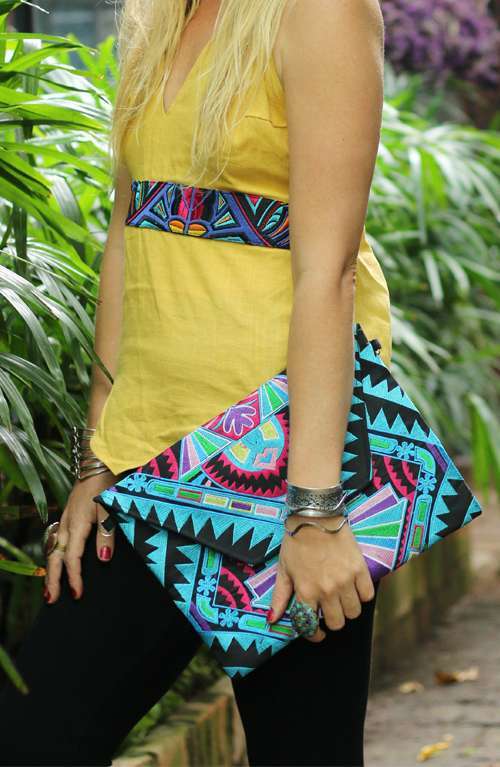 This boho clutch is handmade with love. 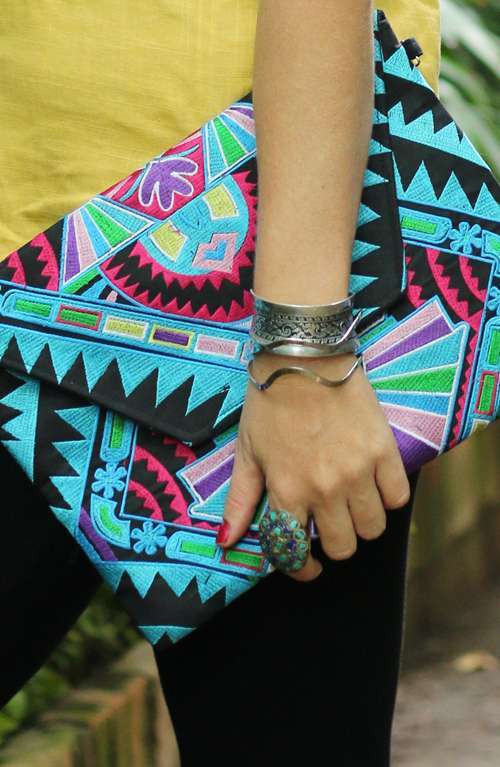 The large purse is made with embroidered textile from Thailand. 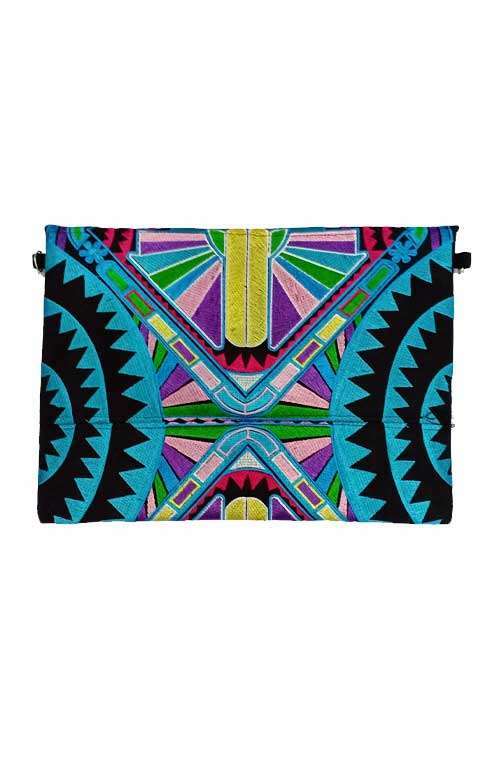 The blue boho purse features a magnetic closure and is lined with black cotton. 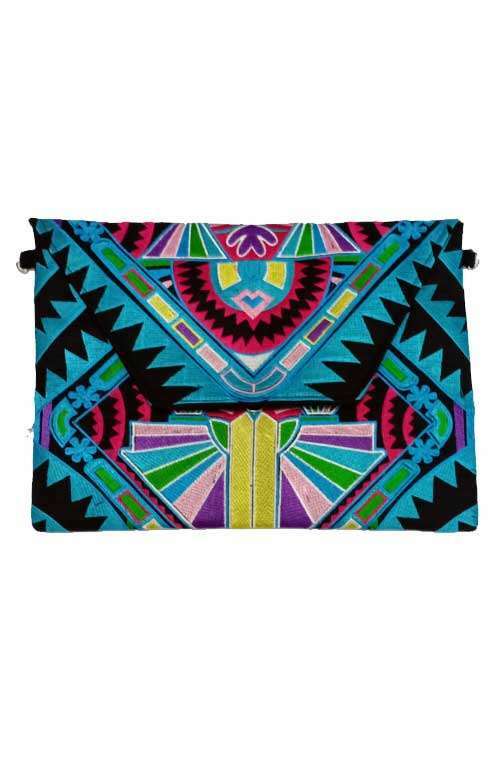 The boho bag features a zipper pocket inside.